The Huntington’s disease breakthrough: is a cure for neurodegenerative conditions in sight? Charlotte Hartley in Science & Technology on 12 December, 2017. Yesterday it was announced that the treatment of Huntington’s disease has been revolutionised, with the innovation of the first drug to potentially slow the progression of the disease. The study, led by researchers at University College London, successfully managed to reduce concentrations of the toxic Huntington’s protein in the nervous system. This has been hailed as “ground-breaking” for Huntington’s patients and their families, while also being of potential importance for the treatment of other neurodegenerative diseases, such as Parkinson’s disease and dementia. Neurodegenerative diseases are characterised by damage to the structure and/or function of neurons (nerve cells). Since the body is unable to repair or replace damaged neurons, they are progressively lost over time, which causes problems with movement or mental functioning. Like many other neurodegenerative diseases, Huntington’s is genetically inherited. The gene responsible is called HTT, which codes for the huntingtin protein and plays an essential role in fetal development, as well as influencing neural growth. There is a particularly interesting region within the HTT gene: a CAG trinucleotide repeat, where cytosine, adenine and guanine are normally repeated from around 10 to 35 times. However, in the mutated HTT gene, which may cause Huntington’s disease, there can be anywhere from 36 to 120 CAG repeats. Consequently, an abnormally long version of the huntingtin protein is coded for, which is cut into smaller fragments that bind together and build up in the neurons. 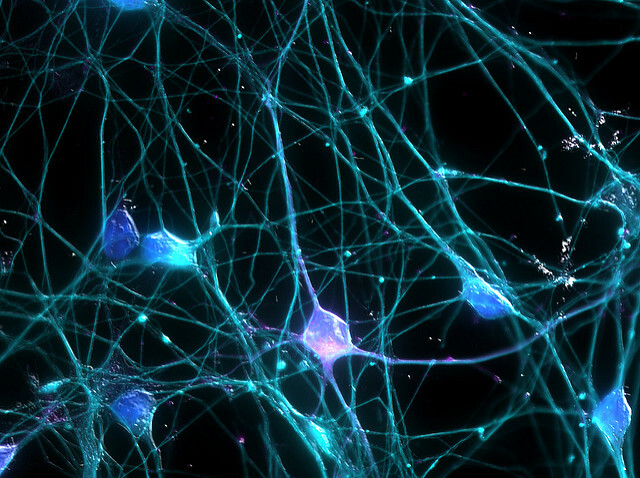 Neurons are progressively lost or damaged in neurodegenerative diseases, leading to impaired motor or mental function. Around 10,000 people have Huntington’s disease in the UK and around 25,000 people are at risk of developing it, making research such as this of pivotal importance to many people’s lives. People tend to develop the early symptoms of Huntington’s in their 30s and 40s, including mood swings, lack of impulse control, and depression. Patients then go on to develop uncontrolled jerky movements, difficulty with speech and swallowing, dementia and paralysis, before dying around 10 to 20 years after symptoms begin to manifest. Of course, such tantalising results have raised the question of applying the concept of gene-silencing drugs to other neurodegenerative diseases. “The drug’s like Lego,” according to Ed Wild, a UCL scientist and consultant neurologist at the National Hospital for Neurology and Neurosurgery in London, “You can target [any protein]”, such as, perhaps, the faulty amyloid or tau proteins that play a role in Alzheimer’s disease. While it’s easy to get excited about new medical breakthroughs, doctors have been cautious not to refer to Ionis-HTTRx as a cure for Huntington’s disease. However, the researchers at UCL and biotech company Ionis Pharmaceuticals are looking to explore whether the drug is able to actually halt the progression of the disease in a larger, long-term human trial. Some animal research has been promising so far, with a degree of motor function restored in some cases. Although we may not have stumbled onto a magic bullet here, it’s the potential effects and applications of gene-silencing technologies like Ionis-HTTRx that make this study such a big deal in the world of biology and medicine. Neurodegenerative diseases affect hundreds of thousands of people in the UK, meaning any progress in their treatment and prevention has the potential to improve many people’s lives and, therefore, deserves to be celebrated.